The application of bearingless drives is emerging as an important technique in the areas of high-speed machinery and motion-control, and this book aims to provide a thorough grounding in the principles behind this cutting-edge technology. Basic principles are described in detail with practical examples to aid understanding, and the different types of bearingless drives are introduced, along with coverage of test machines and applications. 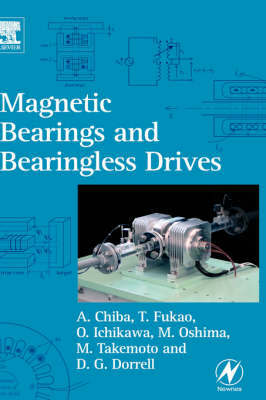 Aimed at practising electrical and mechanical engineers and advanced students, Magnetic Bearings and Bearingless Drives provides an essential guide to an area of engineering previously only fully covered by large numbers of academic papers.